The entire Crystal collection is made of 100% hand-blown, premium Borosilicate glass. These items are of the highest quality, and represent the most vibrant and durable glass products available today. Crystal items can be heated/cooled to personal taste. These artistic gems are made from 100% Borosilicate glass, and are designed to bring pleasure to PC muscle exercises. Once inserted, they will help strengthen the Kegel muscle, while providing rippling effects of stimulation. At 1.75 x 1 (45mm x 27mm) in size, these eggs are a delicious, yet discreet item. 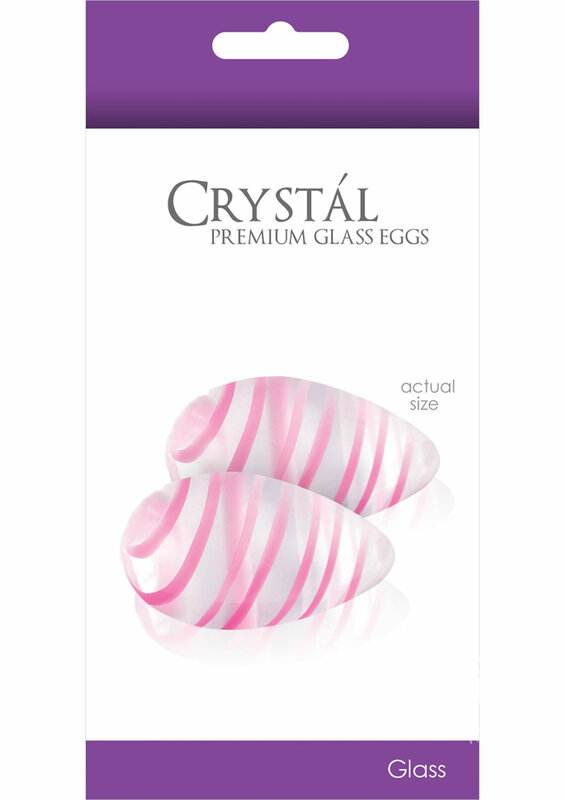 Crystal premium glass eggs include a silk storage bag and a detailed instruction manual (that outlines PC muscle exercises designed to give pleasure and maintain healthy muscle control).